known and popular design studio and partnership. 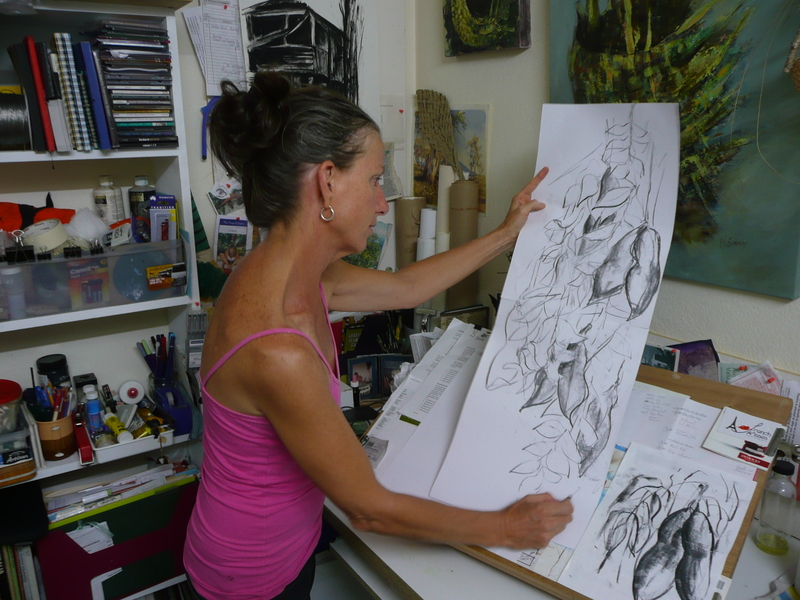 In 2008 Julie made the move from commercial work to her own arts practice, beginning with her first solo exhibition Sketchbook and then focusing on botanical drawing and her Offshoots series. Julie’s life-long love of plants and the natural environment continues to influence both her work and her way of life as she remembers the wise words of someone close to her heart, “time is never wasted when observing nature”. Julie McEnerny works from her home studio in Edge Hill, where she paints and illustrates on commission and for exhibitions. Her home is a short walk to the Cairns Botanic Gardens and Tanks Arts Centre where, when she isn’t finding specimens or running workshops, she spends much of her leisure time, together with music journalist partner, Tony Hillier. For more information on Julie’s work please visit her website.